Introducing Treffen North America, experiencing America’s best roads and destinations. Join the Porsche Club of America and Sierra Nevada Region for the inaugural event: Treffen Lake Tahoe—three days of driving, dining and exploring. 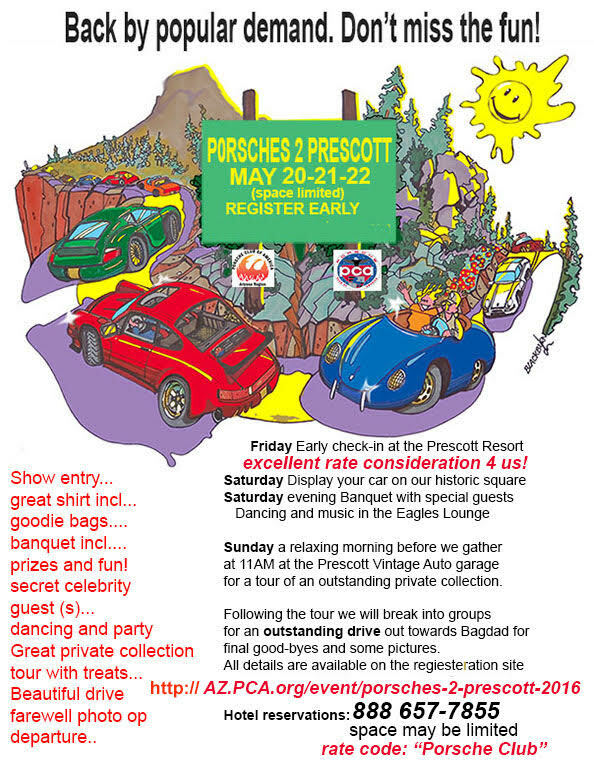 All Zone 7 members are invited to attend our concours judging school. Remember that to be eligible for year-end Zone 7 concours awards, you must volunteer to assist in the Zone 7 Concours Series as a judge; so sign up early and get trained because your help is really needed. Also included in the school will be discussions related to car preparation, cleaning techniques, how and where to clean your Porsche, and cleaning products available.